Payouts for personal injuries in Ireland are on average 4.4 times higher than in the UK, an analysis of the insurance payouts in both jurisdictions has found. The analysis was carried out by the government’s Personal Injuries Commission and has been submitted to Business Minister Heather Humphreys, with a series of recommendations on how to tackle high insurance costs. Personal injury claims generally arise from motor, workplace or public place accidents, or medical negligence incidents. They can be resolved through direct settlement between parties, through the Personal Injuries Assessment Board (PIAB) or through the Courts. Ireland operates a fault-based system in relation to injury claims. The legislative/constitutional framework in Ireland is that the victim of an accident caused by the negligence of others is entitled to be compensated by the liable party. 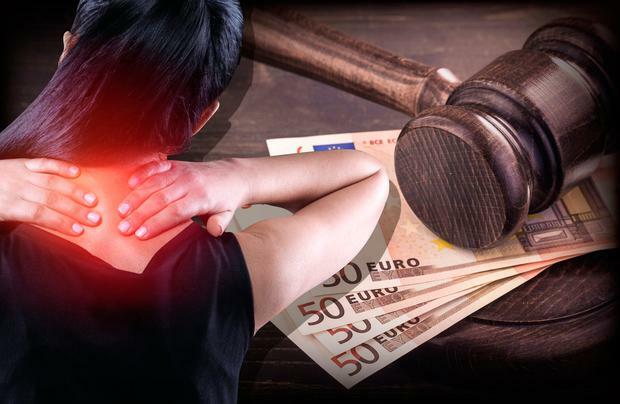 While it was known that the payouts for injuries by Irish courts was higher, the difference of more than four times the average was unanticipated. According to the report, Ireland has a very high frequency of ‘whiplash’ claims, and that ‘whiplash’ compensation levels are also significantly higher. It is estimated that 80pc of motor personal injury claims currently reported are ‘whiplash’ related. When compared to the UK, the whiplash claims are on an average three times higher. The report concludes that soft-tissue injuries account for a large proportion of claims by volume in Ireland. The Personal Injury Commission was established to investigate and report on different compensation models after car insurance premiums shot upto 70% between 2015 to 2017. The PIC was also tasked with investigating the potential for the establishment of a panel of medical experts for use in Court which would restrict the parties in personal injury proceedings to using experts from a panel designated by the Courts. The PIC report was led by Nicholas Kearns, former president of the High Court. Reportedly, the second and final report by the PIC has been finalised is scheduled to be published in August or September. Independent.ie Newsdesk Thieves stole two pieces of equipment from a fire crew while they were carrying out an emergency call this evening. Jonathan Bell There is “unbelievable” grief following the death of a young boy in a road crash, with his school saying he was a “precious part of both his class and the whole school family”. Kathy Armstrong A man has died following a collision between his motorbike and a 4×4 vehicle this afternoon.